What if the title, the estate, the life of security and splendor… what if it isn’t enough?Strong-willed and beautiful, debutante Katherine Ramsey feels ready to take the London social season by storm, and she must. Her family estate, Highland Hall, has been passed to older male cousin Sir William Ramsey, and her only means of securing her future is to make a strong debut and find a proper husband. With her all-knowing and meddling aunt as a guide, Katherine is certain to attract suitors at the lavish gatherings, sparkling with Great Britain’s elite.When a shocking family scandal sidelines Katherine, myforcing her out of the social spotlight, she keeps a low profile, volunteering with the poor in London’s East End. Here Katherine feels free from her predictable future, and even more so as a friendship with medical student Jonathan Foster deepens and her faith in God grows. But when Katherine is courted anew by a man of wealth and position, dreams of the life she always thought she wanted surface again. Torn between tradition and the stirrings in her heart for a different path, she must decide whom she can trust and love—and if she will choose a life serving others over one where she is served. Other than the excellent story line, I liked that the story involves some historical figures.I also love all the different stories that are going on, and how some things are continued from the first book. Two thumbs up! 16 ounces Great Northern beans. 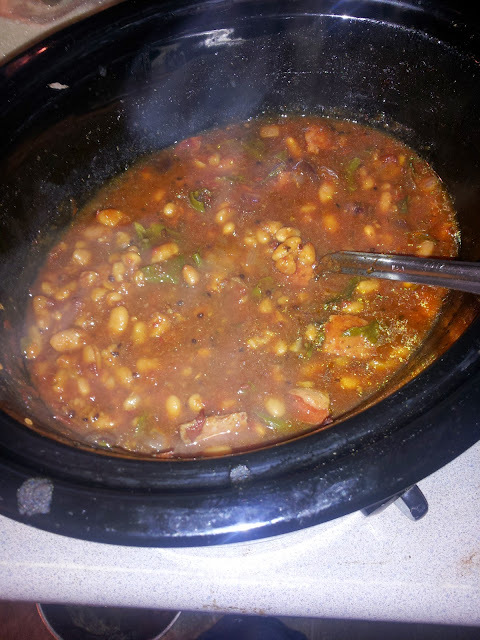 I use dry, so I put them in a crock pot over night. Canned works well too. Once your beans are cooked, add the rest of your ingredients and cook on low for 8 hours. This is a delicious Autumn soup! My thoughts: I enjoyed this sweet Christmas story of one young woman's journey to forgiveness and true love. The book is a lovely story that moves along at just the right pace, giving one plenty of time to fall in love with characters without stalling. This is the perfect book to enjoy on a cold evening with a cup of tea or coffee! I thought that this was a lovely story with surprising depth. I received this book from Lit fuse in exchange for my honest opinion. My thoughts: I love to bake, and bread is no exception. So, I was thrilled to see this book come up to revirw! It was different yhen I expected, a lot og the recipes have to do with starters or sprouted grains. That said, different isn't bad! I haven't worked with sprouting my own grains, so I am thrilled to try a lot of these recipes! I know that sprouting your grains is so good for you, I just have been a bit intimidated. This book makes it seem so doable! I look forward to playing with the recipes! I received this book from bloggingforbooks.org in exchange for my honest review. Because really, Regency gowns are just gorgeous! Out of all the characters, this one dresses the most fun! I like the mental picture that I have of how a gypsy would dress. ;) I think it would make a fun costume! Because Jo has always been my favorite, with her great imagination and big heart. Again, my childhood fetish for Pioneer things comes up. She is just a fun character and would probably be one of the most fun to dress up like! While millions of Americans go about their daily lives, halfway around the world an al-Qaeda cell hatches a deadly new terror plot. It's unthinkable in its devastation. It's brilliantly easy in its execution. And it's capable of bypassing all the security measures the United States implemented in the decade since 9/11. The message is clear. Stop flying--ruin the economy. Keep flying--more people will die. Now Homeland Security Director of Counter-Intelligence Jack Riley must lead an FBI task force in a frantic search to discover and eliminate the plot before more people are killed or the economy crashes permanently. The clock is ticking…..
My thoughts: I feel like the author did a wonderful job moving this story along and bringing it to a terrifying climax! I did think that the story could of used a list of characters at the beginning, since the reader is introduced to a lot of different players within the first few chapters. That said, I think the fact that he had so many different people in the story made it all the more believable! The story is sound and interesting, bringing the reader through a scenario of what could happen. It is an interesting tale and one that will get the reader thinking! My thoughts: Where was this book, about a year and a half ago? It would of been lovely to have something like this one hand, as we were awaiting the arrive of our first child! None the less, I still enjoyed this book immensely, and I was able to glean quite a bit from it. One of the subjects I would of liked to have thought about before having kids was just how lonely one can feel after making the transition of working full time to just being around my little one most of the time. It was hard! This book would of helped that transition go a lot smoother. I like that this book has several different perspectives and is about finding the right way for you and your spouse (or, as a single parent) to to parent the wee treasures that the Lord gives us to shepherd and love. I look forward to sharing this book with my friends who are expecting! One of my friends inroduced me to this site. It's way fun site. I just received my first order; an adorable Fossil purse, since my current purse was falling apart, and a cute new skirt. I stumbled upon this site quite by accident! If you love to read and enjoy free books, then you need to join this site! I have already earned two free books, just from a few surveys on the site! Churchless people are all around us: among our closest loved ones, at our workplaces, in our neighborhoods. And more and more, they are becoming the norm: The number of churchless adults in the US has grown by nearly one-third in the past decade. Yet the startling truth is that many of these people claim they are "looking" for a genuine, powerful encounter with God--but they just don't find it "in church." What are they (or we) missing? How can we better reach out to them? What can we say or do that would inspire them to want to join a community of faith? 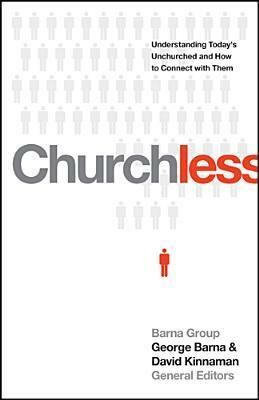 Containing groundbreaking new research from the Barna Group, and edited by bestselling authors George Barna ("Revolution") and David Kinnaman ("You Lost Me"), "Churchless" reveals the results of a five-year study based on interviews with thousands of churchless men and women. Looking past the surface of church attendance to deeper spiritual realities, "Churchless" will help us understand those who choose not to be part of a church, build trust-based relationships with them, and be empowered to successfully invite them to engage. My thoughts: This book came into being at a good time, with a lot countries becoming post-Christian, and then with more and more Americans opting to no longer attend church. It has long been a top priority at congregations to figure out just how to reverse these statistics and help people to find what they are seeking at church and in a personal relationship with the Lord. This book is just the resource needed to accomplish that! Filled with data and ways to apply the information to helping those around you find a church home, this book is excellent! Yet today the Kurds are rebuilding so brilliantly from war and oppression that even their enemies call it a “miracle.” Six star hotels stand where bombs once fell, shopping malls and gleaming schools rise where massacres once occur. National Geographic and Conde Nast have listed modern “Kurdistan" as a “must-see” tourist destination. My thoughts: I thought this book was interesting, since it gives a history of the Kurds, from the Bible times on down to the current time. One learns to appreciate these people who have been the brunt of some ugly episodes in history. I hadn't heard a whole lot about the Kurds before, so I felt like this book does a wonderful job of explaining who they are and how their history has made them the people they are today. Their story is incredible and is one that readers shouldn't miss! About the author: Stephen Mansfield is a writer and speaker best known for his groundbreaking books on the role of religion in history, leadership, and modern culture. He first came to international attention with The Faith of George W. Bush, the New York Times bestseller that influenced Oliver Stone’s film, W. His book The Faith of Barack Obama was another international bestseller. He has written celebrated biographies of Booker T. Washington, George Whitefield, Winston Churchill, and Abraham Lincoln, among others. Stephen speaks around the world on topics of faith, leadership, and culture. He is also the founder of two firms: The Mansfield Group (MansfieldGroup.com) and Chartwell Literary Group (ChartwellLiterary.com). He lives in Nashville and in Washington, DC, with his wife, Beverly, who is an award-winning songwriter and producer. 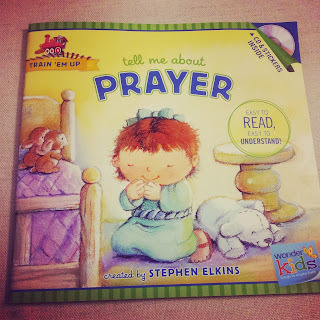 This adorable board book by Crystal Bowman is such a fun addition to a child's library! My daughter enjoyed me reading this book to her, with it's colorful illustrations and rhyming text. I think we have a new favorite in the household! 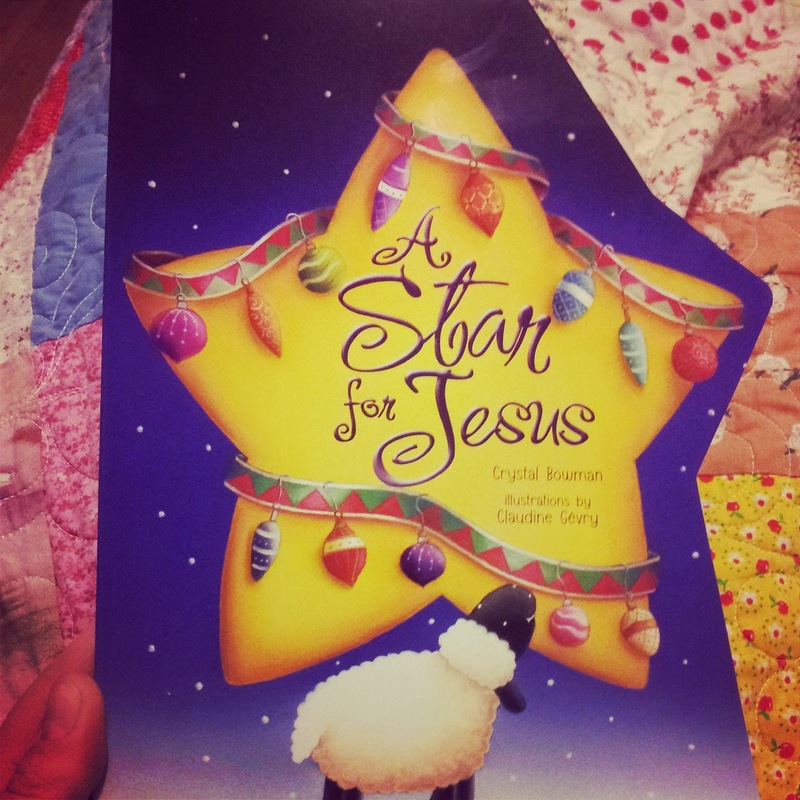 The story does a wonderful job of tying the birth of Jesus and the star that herald His birth into modern day, so that children will remember the lesson long after the book is finished or outgrown. My thoughts: This book is amazing! I love how the series really breathes life into the Old Testament stories, making one really stop and look at the people in the Bible and realize the similarities between them and ourselves. I think it helps to make the Bible stories more applicable in our lives when we see them in a new life, since (obviously) they are there for a reason, to help us to grow closer to the Lord. Keepers of the Covenant is a hard book to put down! With amazing characters that come to life and rich historical detail, this book will keep you up late. Lynn Austin is one of my favorite authors, since she truly knows how to weave an engrossing story! This beautiful cookbook is a feast for both the eyes and the stomach! Filled with amazing pasta recipes from the popular restaurant that shares the same name, this book has so many amazing recipes to help one conquer pasta making. I love all the variety! There is something for everyone in these pages. 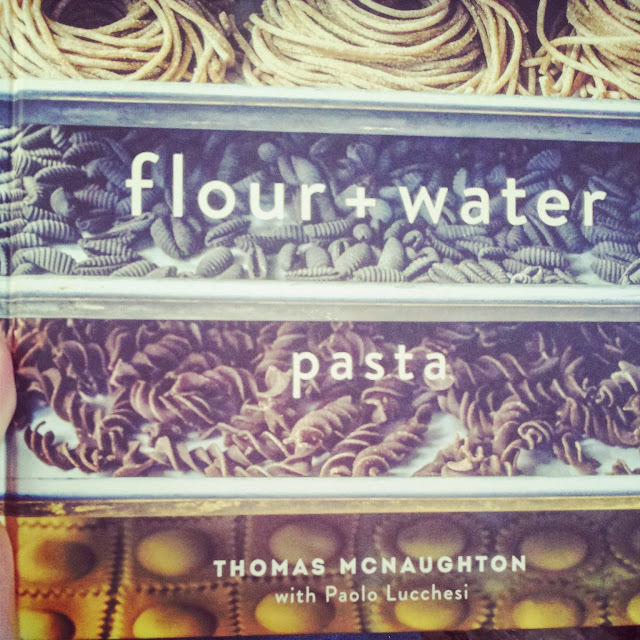 Whether you are a pro at pasta or just learning, this cookbook will be a great addition to your kitchen. My thoughts: I wasn't sure how I was going to like this book, since I am usually a skeptic when it comes to fiction set in the Regency era. I want to like these new stories, but they can't seem to come anywhere near to comparing with my favorites. And yet, I still persist in trying them out. ;) Well, with this book, I am glad that I did! It is both a sweet story and an interesting one. The characters are lovely, I quite fell in love with them! This book is the perfect story for a cool Autumn day. Two thumbs up! In Too Loved to Be Lost (Barbour Books, October 2014), you'll find simple, practical steps for healing, refreshment, and revitalization of spirit, body, and faith. Whether you're struggling with issues related to trust, depression, patience, relationships, hurts, or hopes. . .this humor-filled volume will deliver a much-needed smile and equip you with simple-to-implement tips for attaining the kind of guidance and belonging you crave---the kind that can only be found in the unconditional love of Papa God. My thoughts: I wasn't quite sure what I would think of this book, since it didn't look like one that I would be able to relate to. Boy, was I wrong! I think there is something in this book for everyone (though, it is mostly geared towards woman;)). Debora Coty does a fabulous job of weaving stories, Scripture verses, and humor together into one seamless read that is most enjoyable! I appreciated her honesty and humor. 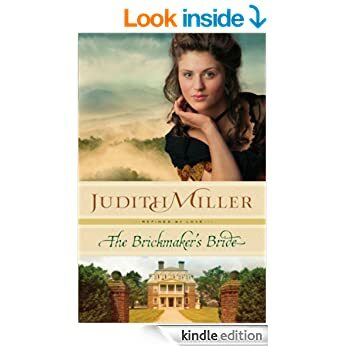 My thoughts: I enjoy Judith Miller's books, since she does a wonderful job at bringing her characters to life and filling her novels with historical details. This book wound up being no exception! The story moved along at just the right speed. I enjoyed getting to know Ewan and Laura as they worked their hardest to get her father's brick making business back up and running. It was interesting to read about a way that some women back then could be involved in a family business, and how that probably wound up being somewhat of a necessity in the time period that this book falls into (post Civil War), when there was a shortage of young men. I also thought it was interesting how Ms. Miller portrayed Ewan and his family and the struggles they faced with immigrating from Ireland, especially the prejudices against the Irish. 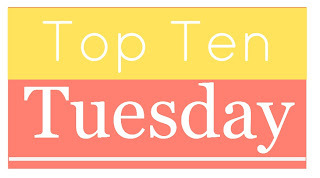 This week's book meme from The Broke and Bookish has to do with top ten places that books have made me want to visit. Is it to broad to say that I want to see England? After reading Austen, Dickens, and the Bronte sisters (to name a few), I decided that England is at the top of my list for places I want to visit someday. I was kind of hoping to have visited there by now, but such is life. ;) Someday, right? Between Anne of Green Gables and Emily of New Moon (both by L.M. Montgomery), this is another place high on my list! I can attribute this to Laura Ingalls Wilder. Granted, I have seen a lot of land between the Midwest and the West coast, due to road trips to visit family. I think more than just seeing it, that it would be fun to take part in a (small) re-enactment of what it would be like to go West on one of the pioneer trails. So, for some reason, I always associated James Herriot with Scotland (until just now, when I went to look him up....). Oops. I guess than I shall say that it is due to Sir. Walter Scott and Robert Burns. It is a sad thing when you would love to visit a place, but there is no way you could ever hope to actually go, since the place doesn't exist. ;) At least, not in the truest form that is in a book. 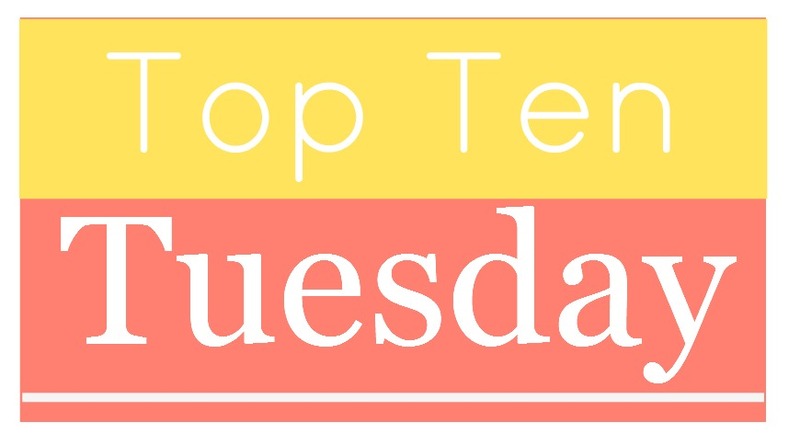 What would your list of top ten places look like? Meticulously researched and exhaustive in its scope, The New American Herbal is an irresistible invitation to explore the versatility of herbs in all their beauty and variety. So, if you are a gardener, this is a book you should have in your library! Fall is in the air! This time of year makes me want to don an apron and whip up some pumpkin goodies, so I recently did just that and made these delicious pumpkin muffins. The nice thing about this recipe is that I have also used it to make a pumpkin cake (really just bread in a cake like pan), since it turns out so tasty! 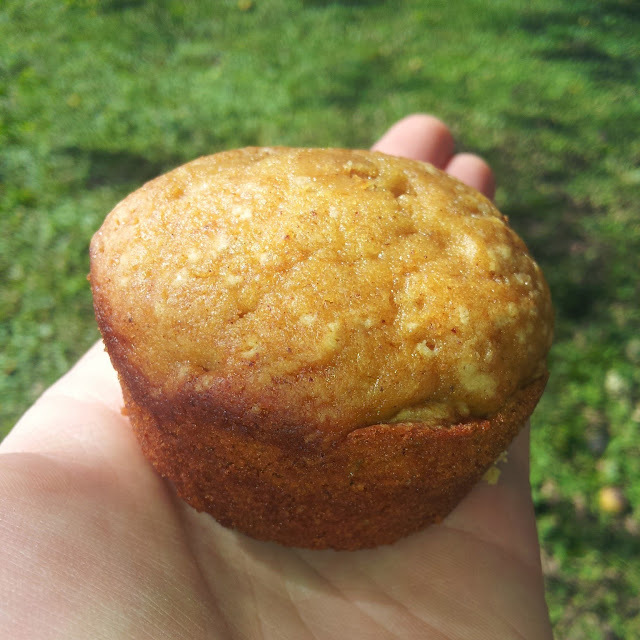 The texture is amazing, and they are loaded with a lovely pumpkin/spice taste. I think we have a new favorite at our house! Preheat your oven to 400 Fahrenheit. Put your melted butter in a bowl and cream with the sugar. Add the egg, vanilla, milk, and pumpkin to creamed ingredients. Mix until incorporated. Add the rest of the ingredients, scrapping the sides with a spatula as you go, so everything is mixed nicely. Grease your muffin tins (this makes 14-16 large muffins or 24 small) or loaf pan. Add the mixture, smoothing it out if you are making a loaf. Bake for 8-12 minutes for the small muffins, 12-15 for large, and 30 minutes for your loaf. If you are making a loaf, be sure to insert a toothpick into your bread to make sure it is done, since it will depend on your pan. If the dough it pretty deep, then it might take longer to bake. 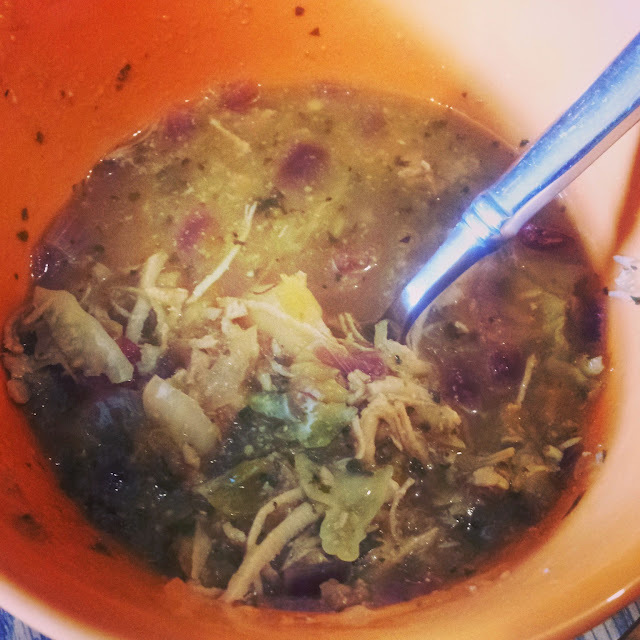 I came across a couple of different ideas on and wound up coming up with a chicken soup recipe that we all enjoy. Put the chicken broth and water in a saucepan. Once it it hot, add your onion, garlic, carrots, and potatoes. Cook until soft, then add the chicken, tomatillo puree, and seasoning. Cook on medium heat for approximately ten minutes. When we make it, the recipe makes enough for four adults. One of my favorites by Austen! I love how Emma grows in character as the story progresses. I had a hard time getting started with this book, but it was hard to put down once I did! The characters are incredible and it is so easy to get caught up in the story. This one is another incredible story by Lisa Wingate. I like how she combines a story of days long past with that of a recent one. The characters are fascinating and the story sweeps one in! I read this one in record time! The characters and mystery surrounding them just sweeps one away! I have a thing with novels set in foodie environments. Especially if they have recipes included. ;) The characters are lovely, and I can't wait to read the next book in the series! Wow, this story doesn't go where you think it will! 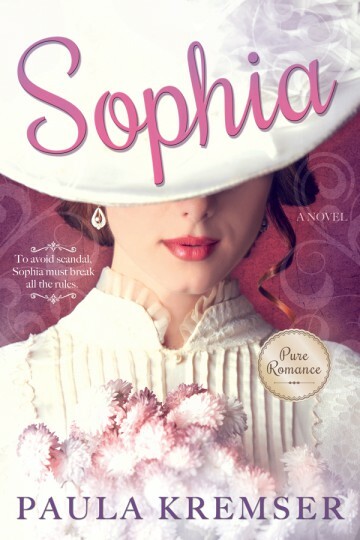 Small-town Sophia Spencer can t believe her luck when an unexpected inheritance allows her to experience London s social scene. But her happiness disappears when she is caught napping in a grumpy gentleman's room and forced into an engagement to protect her reputation! Personalities collide and love blooms in this stunning debut novel. My thoughts: I enjoyed this novel! It is a sweet story of a likeable young woman coming into her own when she is thrown into some unlikely situations! I very much appreciated the characters and the sweetness of the romance in the story. I think this author did a wonderful job introducing her characters and executing the story. I look forward to reading more by her in the future! My thoughts: In many ways, this book arrived in a fitting time, since my mother in law was just diagnosed with cancer. I actually started this book just before we received the news. So, I can imagine that I was more emotional as I read this book! It is such a beautiful account of one woman's battle with cancer, and how it has taught her to see the beauty of everyday moments with her family. Some of her writing mirrored some things that have been swirling around in my head recently: we aren't all guaranteed a long life on this earth. But, it isn't so much about the amount of time that we spend on this earth, but rather, how we spend the time we are given. I have known people who have done more in their 20 years here than most do in 80! Another thing, why don't we see old age as a gift? In our youth geared society, we think that it's a burden to grow old. To slowly become dependent on others. No matter what amount of time we are given on this earth, it's a gift, and should be treated as such. I appreciated the message of hope this book had. I appreciated this book, with it's honesty and call to action. The book is easy to pick up and get through, which is a plus to this mama. :) The author weaves Scripture, personal stories, and bits of history together to encourage one to remember where our citizenship, as Christians, truly lies. 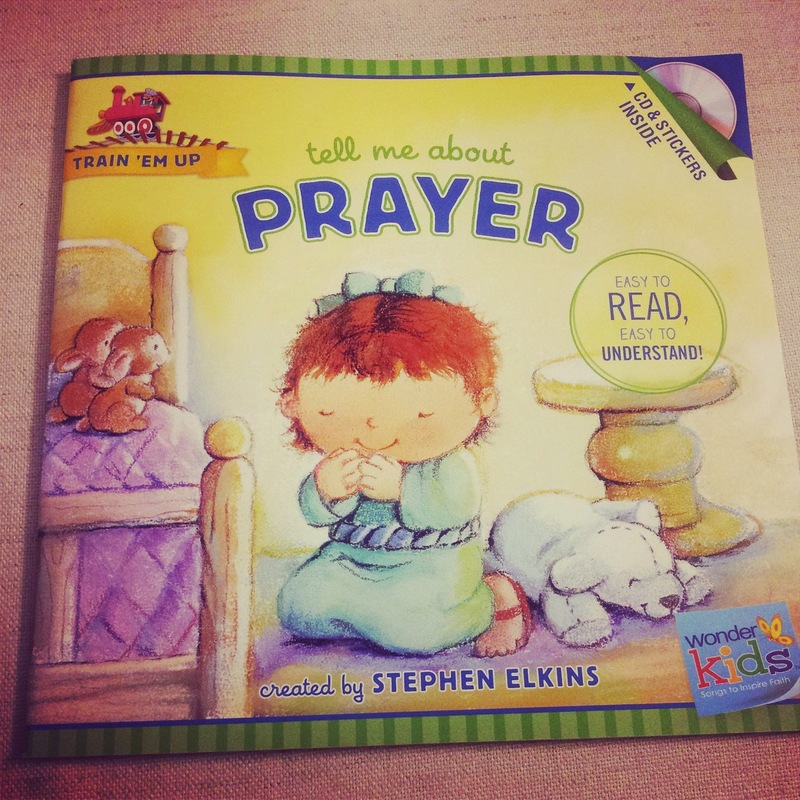 In this adorable, colorful book, parents and teachers alike are given a wonderful tool to help teach little ones about prayer. Filled with scripture references, songs, and easy to understand language, this book is a great addition to your library! My daughter and I very much enjoyed this book, with the CD and stickers that accompanied .I look forward to enjoying it over the years with her! My thoughts: This book intrigued me, with it's historical basis. I have to say, it was a bit different then I thought it would be, but it was still an interesting story. I thought that the author does a wonderful job handling some difficult situations. There is a lot going on in the story, and it is one that needed to be told. I thought that the story of Reverend Ferguson is an interesting and unique tale, one of fables and faith and how those two work together. My only caution with this tale is that there is some language and sensitive situations. This book is geared towards an adult audience. That said, I did like the story and look forward to reading more of the author's books. I received a copy of this book from litfusegroup.com in exchange for my honest review.